Write a program in C to demonstrate how to handle the pointers in the program. 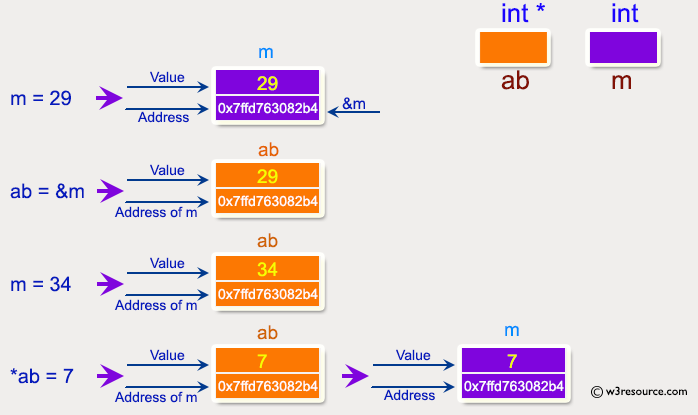 Now ab is assigned with the address of m.
The value of m assigned to 34 now. 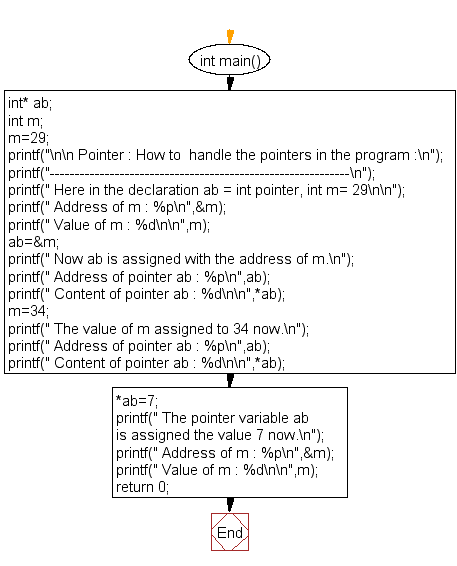 The pointer variable ab is assigned the value 7 now. Previous: Write a program in C to show the basic declaration of pointer. Next: Write a program in C to demonstrate the use of &(address of) and *(value at address) operator.